The great combination of concreete and steel forms the giant offshore oil rig structures that sit on the seabed. The oil rig platforms are designed to help offshore oil rig workers to drill the wells further into ground and produce greater levels of hydrocarbons. 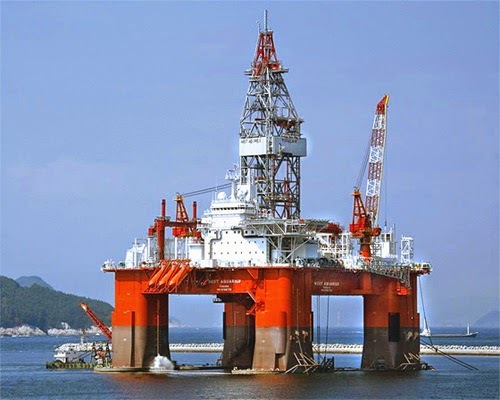 Jack-up oil rig platform: the so called Jack-up oil rig platform is a mobile structure, which instead of floating over the area of drill like a semi-submersible, has a long leg mounted on that helps to lower or raise the entire oil rig platform in and out of the water. This kind of an offshore oil rig platform is able to operate around 500 feet in depth of water. 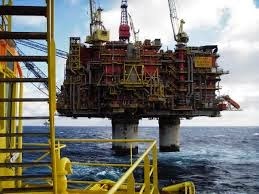 The Jack-up oil rig platforms are usually used in North Sea, as those areas aren't too deep. Drill vessel: this is a unique drilling platform, in a shape of vessel. The drill vessel is an offshore oil rig platform that doesn't need a tug or tugs to keep in place, unluke the Semi-submersible and Jack-up oil rig platforms. Flotels oil rig platforms: a Flotel oil rig platform is a structure that is being made up of a Semi-submersible, which has been changed to suit a new purpose. The Flotels are designed with the opportunity to be attached to a Semi-submersible and give additional accomodation for added employees. The Flotels also provides extra place for leisure and catering activities. Floating Production & Storage Units: the floating production and storage unit is a facility that can be attached to the seabed and it is being used to store the produced oil until the tanker may ship it to land. This structure can be made from facilities like tankers or semi-submersibles, to store the oil, produced on the oil rigs.